Congratulations to each of our 50 #HNOJSchool Math League participants, who really knocked it out of the park this year, not only divisionally, but nationally. In their respective divisions, the 6th-grade team finished 6th, and the 3rd-grade team finished 2nd. Individually, Evie finished 8th and Daniel finished 2nd with Grant in 4th place. The 5th-grade team finished 1 of 76 teams nationally, with Sam finishing second nationally. The 4th-grade team also finished 1st nationally. Two fourth graders, Audrey and Noah M, earned perfect scores and Noah B only missed 1! When I walked through the doors of Holy Name, I felt like I was at home. Congratulations to Alison and Harmon! 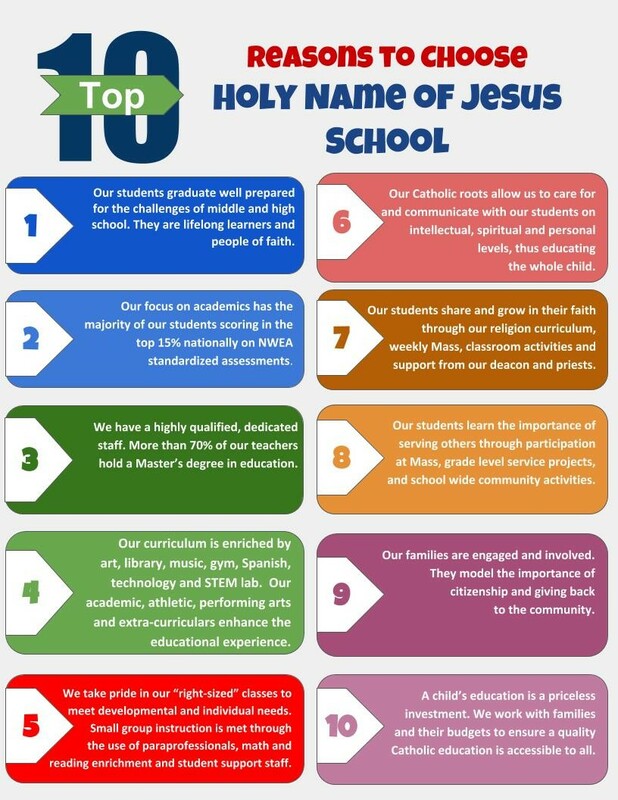 Holy Name of Jesus School provides academic excellence in a preschool through sixth grade Catholic School while proclaiming, celebrating and living the Gospel of Jesus Christ.